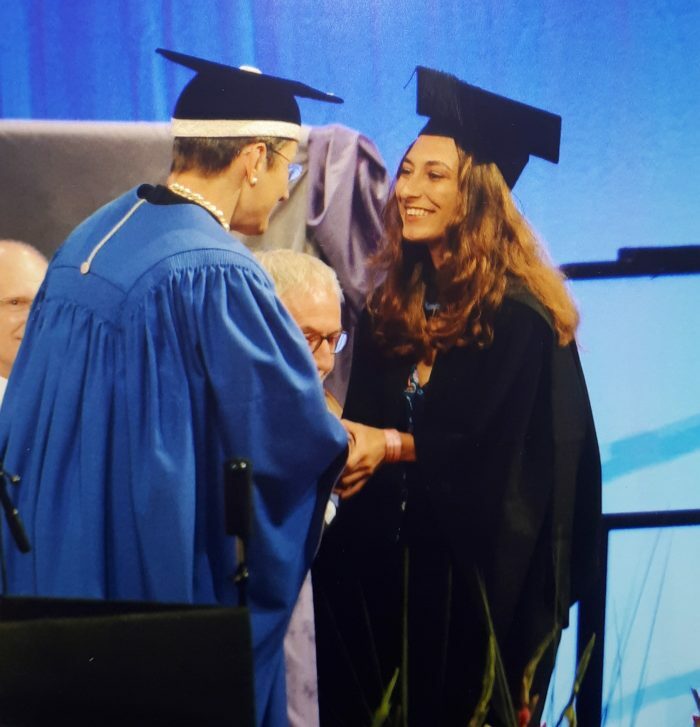 Environmental Sciences BSc(Hons) graduate Karen Bowles tells us why choosing the University of Brighton was one of the best decisions she has made, and where her career has taken her since she graduated. Studying Environmental Sciences at the University of Brighton has been the best decision I’ve made. As someone who is curious and wasn’t entirely sure of what field to choose, I loved that I could tailor my degree to fit my interests by keeping my module choices broad enough to explore different areas but still focused enough so that I was not completely lost in chasing a topic purely because it sounded interesting. This combined with passionate lecturers who are always keen to help, not only with coursework but also discussing career aspirations, made me feel less anxious about the future and motivated to build my career. There were many opportunities to develop the technical and transferable skills I needed for the job market; by the time I graduated I had done fieldwork in four different countries, could work within a multidisciplinary team, was comfortable conducting my own research and working in laboratories, and even had the chance to work with Dr Raymond Ward on his research project (I enjoyed this so much that I did my dissertation on a similar topic). Apart from these, I developed a variety of soft skills, especially through a community development module I took on my second year, where I worked as a social marketing assistant at the University’s C-Change Campaign to improve the halls of residence recycling scheme. As an international student who was unaware of the job market back home, the thought of graduating without industry experience was quite daunting. However, I soon found that the skills I gained at the University of Brighton were highly sought after. While I was seeking for opportunities during my last year, I found a vacancy for a Marketing Manager that highlighted the need for someone who had experience doing research, analysing and manipulating data, creativity to solve problems, and excellent writing skills; all things I was confident I already possessed. As I also had previous marketing experience, I applied for it without expectations; and so it happened that upon graduating, I returned home to Mozambique and started working as a Marketing Manager for a Tech Start-up. Though the type of work I was doing then was quite different from what I was used to (and involved interacting with people much more), in some ways, it was still quite similar. One of the most valuable lessons I learned at the time, was the importance of marketability, especially in STEM subjects. As an aspiring Research Scientist, this has really influenced my perception of how to make research impactful and meaningful. Currently, I work as a Junior Environmental Consultant at GreenLight Mozambique, an independent company that focuses on various Environmental consulting services, as well as, development and implementation of projects in the Energy sector. Here my diverse academic background has allowed me to contribute to projects beyond the traditional consultancy services such as EIAs and feasibility studies; as I have had the chance to be part of an international multidisciplinary team working on the General Management Plan for a Reserve, facilitating strategic planning workshops for the country’s 2035 Agenda for Sustainable Development, and developing methodologies to improve quality of environmental data collected in Mozambique. Studying Environmental Sciences at the University of Brighton has opened my eyes to a world of possibilities. If you are a current or prospective student, be confident that you will leave the University of Brighton qualified for the job market, it will be up to you to show what you know.